Spread a little jam on each piece of cake and place in the bottom of a large glass bowl. Sprinkle raspberries over cake. Heat 10 fl. oz. cream in a medium saucepan over medium heat. While the cream is heating, beat the egg yolks with the sugar until pale yellow and smooth. Strain yolk mixture into a clean bowl. Pour hot cream into egg yolks and stir vigorously. Return mixture to pan over low heat and cook, stirring, until thick enough to coat the back of a metal spoon. Remove from heat and allow to cool. While custard is cooling, whip 10 fl oz. cream until soft peaks form. Place almonds on a baking sheet and toast, in a 300 degree oven or toaster oven, stirring frequently, until golden, 2 to 10 minutes. Spread cooled custard over cake in bowl. Top with whipped cream and toasted almonds. Chill 2 hours before serving. 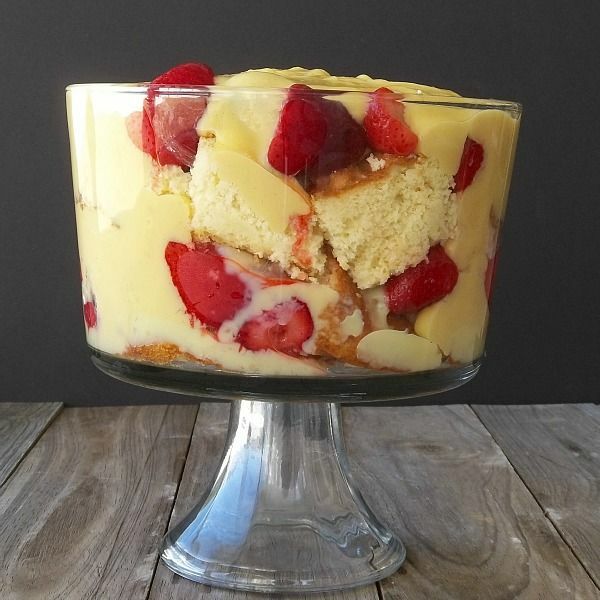 No comments for: "English Trifle to Die For Recipe"